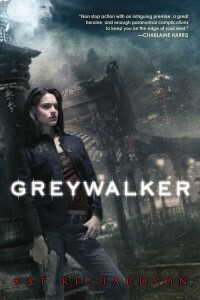 The Greywalker books, by Kat Richardson, posit that the paranormal is around and kicking, including vampires (though there are no werewolves that I recall), and that there are people - greywalkers - who can go back and forth between the supernatural world (the Grey), and this world. Harper Blaine is a PI who also happens to be able to do just that. The books are about her cases, and her figuring out her powers, so they're part mystery and part urban fantasy. These books are a little woo for my tastes at times, and sometimes they trip over their own plot, but the mysteries are good and the characters are better, so I keep inhaling these. I read Vanished and Labyrinth this year (the other books I'd read in previous years) and oh, hey, #6 just came out, so I'll be reading that too. If you like the Mercy Thompson books, and the Anita Blake books before they jumped the shark, you will probably like these.